WE HAVE BEEN IN BUSINESS SINCE 1974 SERVING AN EVER GROWING LIST OF CUSTOMERS IN ALL ASPECTS OF MOBILE, SILENCED, PRECISION ELECTRIC POWER GENERATORS AND RELATED EQUIPMENT. OUR PRIMARY MARKET PLACE IS MOTION PICTURE, TELEVISION, COMMERCIAL AND MUSIC VIDEO PRODUCTION, WHERE OUR EQUIPMENT HAS BEEN USED ON OVER 21,000 PRODUCTIONS TO DATE. IN ADDITION, WE HAVE EXPANDED INTO OTHER INDUSTRIES WHICH UTILIZE OUR TYPE OF EQUIPMENT AND SERVICES, INCLUDING TELECOMMUNICATIONS, CONSTRUCTION, CONCERTS, SPECIAL EVENTS, GOVERNMENT, MILITARY, ETC.. WE HAVE A LARGE FLEET OF LATE MODEL, WELL-MAINTAINED, MOBILE GENERATORS AVAILABLE FOR SHORT OR LONG TERM LEASE/RENTAL IN SIZES FROM 45 AMPS TO 3600 AMPS. IN ADDITION TO OUR LEASING/RENTAL OPERATIONS, WE OFFER SALE OF NEW AND USED GENERATORS IN A WIDE VARIETY OF RATINGS AND CONFIGURATIONS . AS A DEALER FOR MQ POWER , WE OFFER THEIR FULL RANGE OF PRODUCTS FOR SALE (www.mqpower.com) . OUR FULL RANGE OF SERVICES INCLUDE SERVICE AND MAINTENANCE OF ALL MAKES OF GENERATORS BOTH IN OUR FACILITY AND AT OUR CUSTOMERS LOCATION. WE STOCK A LARGE INVENTORY OF SPARE PARTS FOR RAPID RESPONSE TO OUR CUSTOMERS NEEDS. 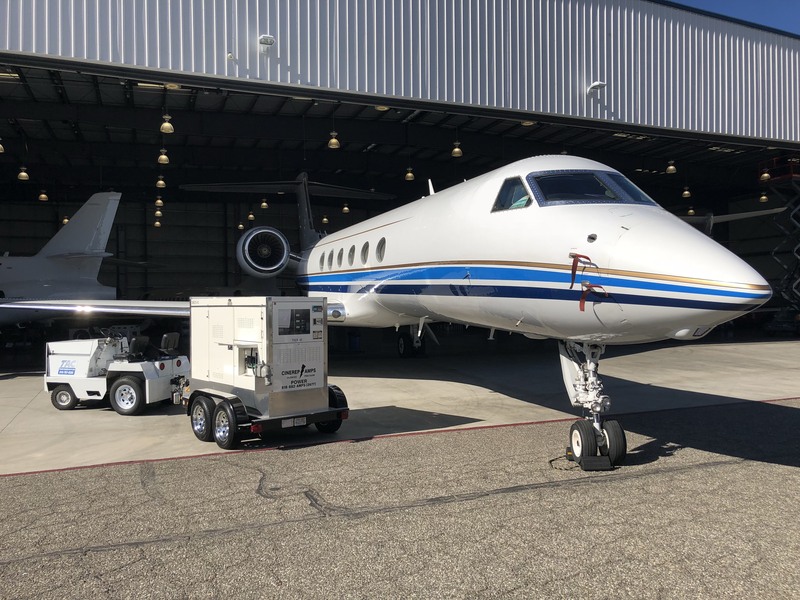 WE OFFER REFUELING SERVICE IN THE LOS ANGELES AREA. ALL OUR SERVICES ARE AVAILABLE 24 HOURS/DAY, 7 DAYS/WEEK, YEAR ROUND. OUR ENGINEERING STAFF IS AVAILABLE TO PROVIDE CONSULTATION AND DESIGN ASSISTANCE IN ALL AREAS OF MOBILE GENERATORS AND RELATED VEHICLES AND EQUIPMENT. 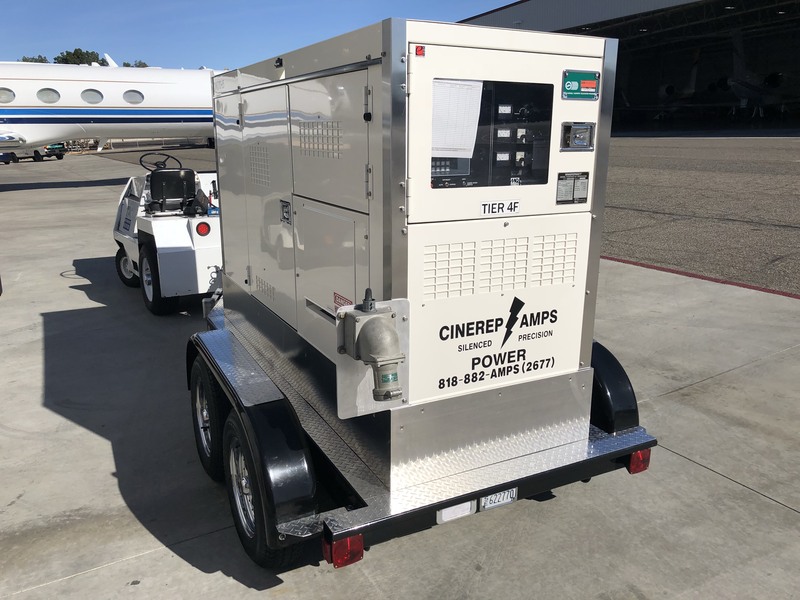 BOTTOM LINE, CINEREP/AMPS IS READY, WILLING AND ABLE TO SERVE YOUR GENERATOR NEEDS.